A woman betrayed . . .
A frazzled financier . . .
Adventures unknown . 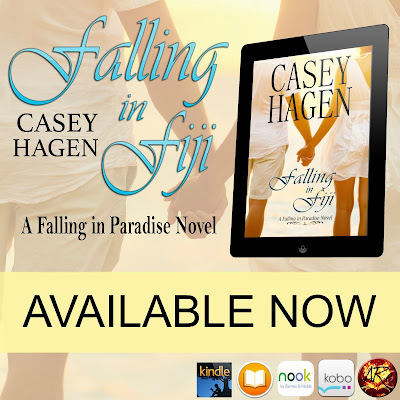 . .
Fiji began as a fancy-free trip, but with the high-tech Adventure App running the show, Corinne and Everett find more than paradise. 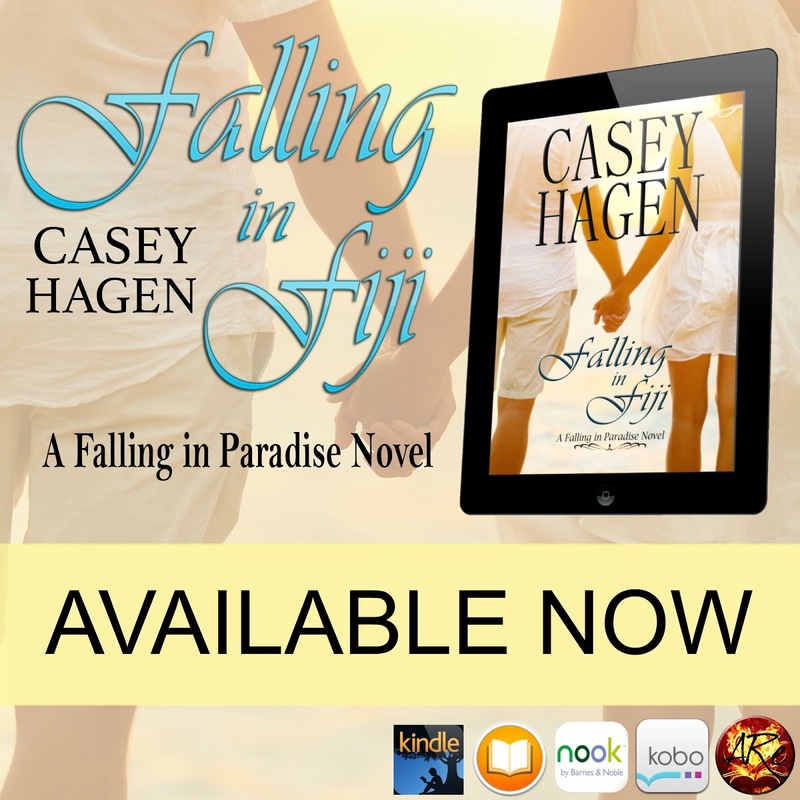 But can their romance survive the pressures of the real world, where reality bites, adventure is hard to come by, and—there is no App for love? 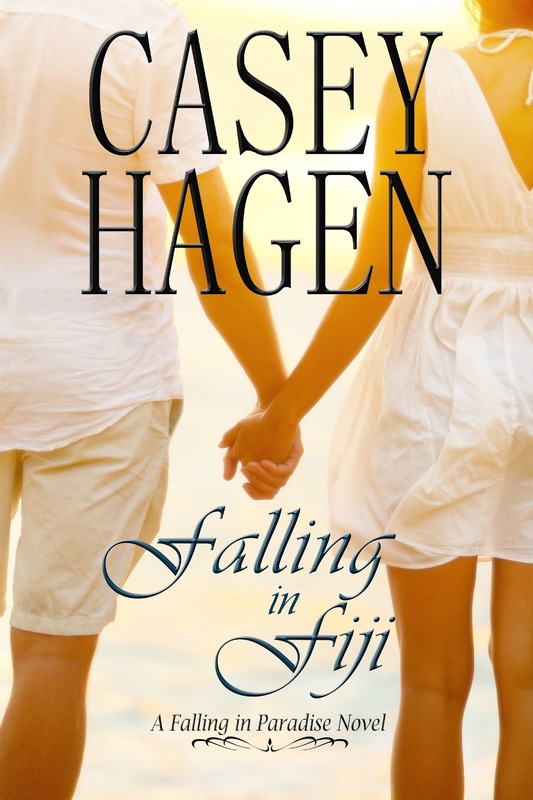 Casey Hagen is a debut contemporary romance author releasing her first book, Falling in Fiji, in October. She writes her stories from the dense, green wilderness of the Delaware National Forest, Middle of Nowhere, Pennsylvania. She’s a born and raised Vermont native with Ben & Jerry’s in her heart and real Vermont maple syrup pumping through her veins. 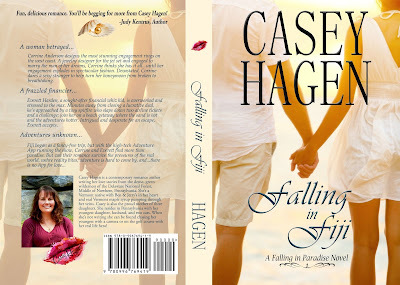 Over the years, Casey has dabbled in a wide variety of professions. She worked in the States Attorney’s office, created beautiful works of art as a florist, slaved to the public in retail, taught preschool (and potty trained eleven two-year-olds at the same time), and finally, she owned and operated her own residential cleaning business for over a decade. She is also the new Vice President of the Penn Jersey Women Writers Guild. Casey is the proud mother of three girls, two of which are successful college students…yay! She resides with her youngest daughter, husband, and two cats. Her days are spent in her new office that she proudly admits they would need dynamite to blast her out of! When she’s not working she can be found chasing after her youngest with a camera (much to her youngest daughter’s embarrassment) or on the golf course with her real life hero!